Office and retreat, this is the domain of Xanadu's Weyrleaders. The door is in the eastern wall, quite close to the southern end while the northern wall is dominated by big, expansive windows, framed by sumptuous deep blue drapes edged with a brilliant gold braid and tied back with a thick rope of braided gold and blue cord. In between, the eastern wall is covered floor to ceiling with shelves that house all sorts of records, manuals and supplies that are used on a day-to-day basis. 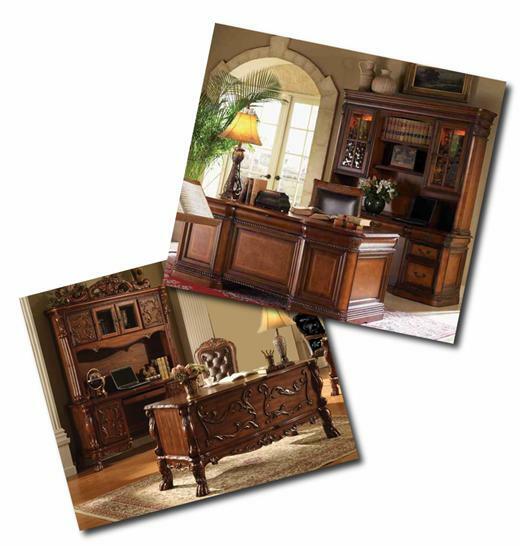 The southern wall has the Weyrleader's desk — plain fellis wood, well polished and masculine. From behind his desk, the Weyrleader can look straight through the windows and out onto the main airspace of Xanadu. The western wall is where the Weyrwoman's desk resides: a lovely piece of furniture made of warm cherry wood. From her seat, a glance sideways gives her an equally good prospect out the window. There are a few other seats, some comfortably arranged around a low round table for small, informal meetings while there also some that can be drawn up to one of the desks. On the south side of the door, the space is occupied by a low oblong table where refreshments can be set without someone needing to intrude. There is also an 'incoming' tray where incoming correspondence or similar items can be left. Not only has Jethaniel been keeping his work mostly to scheduled hours this sevenday, he actually left early last night. Only slightly so, though the degree of slightness is dependent on the frame of reference used. If figured in milliseconds, the number is enormous, while on the scale of geological time, it's infinitesimal. To use the scale of most of the clocks around the Weyr, minutes, and fewer of them than the amount by which he arrived early today. His first stop was his office, to do a triage of his inbox - a process that is far shorter of late, and did not, of itself, take nearly the hour that has elapsed between his initial steps down this hallway and the brisk knock that now comes to this door. The Steward stands in the hallway, a book and folded piece of paper tucked under one arm. Thea should not be in her office. But she is. And so when that knock sounds on her door, there's a startled "Yeep!" from her, which though not particularly loud, can nevertheless be heard from the hall, albeit muffled. Unseen is a mild look-round as if searching for a spot to hide while the Weyrwoman actually debates hiding under her desk. In her own office. Because it's probably Ocelara coming to chew her out for coming here on her day off. Pretending not to be in here and leaving the door unanswered will do little good as the headwoman likely saw her enter the administration hallway. Besides she has one of the master keys - the mate to the one Thea now holds in her palm. So with a little sigh, preparing to face her chastisement, she walks to the door, the click of the lock precedes the opening of that door and her wary expression turns a touch guilty as the Steward is seen. "I'm, uhh… just was…" Then more brightly, "Good Morning Jethaniel." Maybe he won't notice she's dressed casually. As there is a door between himself and the source of that startlement, the concerned look on Jethaniel's face is directed simply to the door, not Thea herself. Perhaps now is a bad time? Nevertheless, he is here, and he has confirmation that at least one person is on the other side of that door. The nature of that person remains unknown, though he certainly has a reasonable hypothesis about it - one that is confirmed when the door opens to reveal Thea. (Or, at least, the semblance of her; it is still theoretically possible that there exists a doppleganger, but a theory is sufficiently implausible as to not merit serious consideration.) He smiles at the confirmation of his hypothesis, though it does not entirely lift the concern; most likely, that part of expression has other causes. "Good morning, Thea." He pauses, glancing to the formerly locked door. "Am I interrupting something?" "Not… exactly," answers the Weyrwoman honestly. "I had a small errand to do before heading off to Ierne. But come in," she says stepping back to allow her Steward entry. That door, he'll probably notice, is shut and locked again once he's inside. "Here," she says, holding out that key she's got so he may take it. And then she motions towards the chairs in front of her desk, where she also sits, since she isn't really here. Officially, that is. Crossing one trouser'd leg, her booted foot swinging idly, she smiles, her manner relaxed. See? Even the idea of getting away is working its magic even though she needs work on her follow-through. "What can I do for you this morning, Jethaniel?" "Ah," Jethaniel says, though he is not entirely enlighened. He steps inside, then accepts the key, inspecting it for a moment before slipping it into his pocket. A small green head emerges from that pocket as he does so, chirping inquisitively and receiving a pet before she dives back down to curl around the key and keep it safe. Jethaniel treats this as nothing out of the ordinary, crossing to take the offered seat. "I shall not keep you long, then." He brings the book and paper around to in front of him, and as his gaze rests on the paper, he adds, "Though… if you are already departing, perhaps I can prevail on you for an additional favor." His lips twitch in something of a frown, and then he sets the paper aside (there's some kind of official looking seal on it, despite the fact that it's just one folded sheet) and extends the book to her. "I was requested to give this to you." The tome appears to be on the subject of wild felines. "By A'dmar." "That's a master key. You should have had one of those before now. I don't have to tell you to keep it where others won't have access to it," says the Weyrwoman with a nod to his pocket. That matter settled, she turns her mind to the reason for his visit, adding a brief but sincere, "No rush." She accepts the book uncertainly, turning it over in her hands curiously, though she notices the sealed document he's set aside with a glance flickered towards it and back to the volume in hand. The name mentioned draws her eyes to the Steward, a knitting of brows and a wariness settles about her, "Oh. Did. He." No, she's clearly not pleased about this. Her gaze slides to that document, "That as well?" Under these circumstances, Stardust does not count as others. Jethaniel nods slightly at the explanation, though he makes no comment regarding the delay in receiving it. Perhaps he didn't realize he was meant to have one, as with so many of the things around stewardship. At least, thus far, he has not made the same mistake twice after being informed of his error. Additionally, the Weyr has not burned down. "I shall keep it with my key to the chemical cabinet." They are, after all, both things that can create problems in the wrong hands. Thea's expression of wariness is met with a serious one of his own, and a grave nod - though her mention of the document makes his gaze flit there briefly, surprised. "Ah, no. That… is another matter." His attention returns to the Weyrwoman and the more immediate matter of A'dmar. "You may do with it as you see fit; I skimmed the contents last night. It is what it appears." His tone is matter of fact as he reports on his inspection of a message entrusted into his care. "He had some additional requests regarding his weyr post-departure; I have informed Ocelara to expect him. I expect she will deny him, but that is her perogative, not mine." That part brings a faint smile to his face. Thea's eyes flick once more to his pocket and she lets out a breath that can only be relived. "It slipped my mind up until now, but with… things being how they are (her door now kept locked, for example), I thought it best to entrust it to you since I will be away one day out of seven." Wry, that last statement; she really is going…soon. Another matter, he says and she's mildly curious, "Of A'dmar's?" She doesn't ask further than that; it's not for her to do so. Instead she half-glances at the book before her attention is drawn back to Jethaniel. "Additional requests?" Her frown is merely perplexed, though it's no secret that the Headwoman doesn't care for the once-Weyrleader of Xanadu. "It's not exactly his weyr, nor are the furnishings, most of which came with it. What does he want?" So she will. That is, after all, the nature of the restday; to be one in seven that is not taken up by work. Jethaniel's expression turns apologetic, for today it seems he is the one keeping her from that rest. At her question of the paper, he glances to it again. "No. A matter of my own." He reaches for it, turning it over in his hands before looking up at Thea once more and returning to the matter of A'dmar. "Indeed. He wished it to be given to his daughter." He pauses for a moment, his expression a wry one. "I informed him she would receive whatever accomodations were suitable. She is an adult; she may speak to Ocelara on her own behalf, if there is a problem." With the answer to that first question the document is forgotten with an easy nod. The Weyrwoman relaxes back against the seat back of her chair only to sit bolt upright with a snort for such a pompous request, her eyes flashing, "He has a nerve…!" But then she hears the rest of what her Steward has to say and she subsides back into her chair once more, laughing quietly. "I think," Thea says with eyes glinting her amusement, "that between you and Ocelara I can trust the matter to be handled appropriately. You did well." Her smirk fades when she adds with a slight frown, "He ought to know that I'd hardly kick the daughter out of Xanadu for the crimes of her father. And that we have plenty of shared rooms in the resident's cavern. But that Weyr is required for ranking visitors, so." A'dmar assuredly has quite a few nerves, forming a complicated system. However, in this context, that is not entirely what Thea means, and Jethaniel is sufficiently aware of that. His expression echoes the Weyrwoman's amusement, and he inclines his head to agree that he and Ocelara should have the matter well in hand. "So far as I am concerned, Zahleizjah is a starcraft apprentice and candidate. Nothing more nor less." And she shall, insofar as this Steward is concerned, receive the same consideration as any other having those same qualifications. Well… perhaps not quite. He may also choose to not entirely trust her around certain fragile components. However, that has nothing to do with her father. Neither, or so Jethaniel reports, does the folded paper in his hands, but it is there that his gaze now settles. He's quiet for a moment, and any traces of smile have removed themselves by the time he speaks again. "I shall be taking a long lunch today." Evidently, given that it's still fairly early in the morning. He's never going to perfect working shorter hours on his boss's restday, either - not if he goes and tells her about his plans to do so. "Perhaps much of the afternoon." Thea's smile grows as Jethaniel speaks, though it's more one of approval for his sentiment regarding not giving undeserved perks to an apprentice than it is of vindictively thwarting of A'dmar's audacious request. Her mind is increasingly moving past the ex-Weyrleader, save as a guest in her Weyr recovering from an injury. She speaks to the healers, health updates receiving daily - no infection, no fever, all's well there, as far as she is concerned. Ocelara sends trays of food to his quarters (a gesture perhaps to spare the caverns the glowering presence of the man rather than to cosset him, since his legs are fine), so she knows he's not being starved. "Oh?" says Thea looking back up from the book she's just started idly flipping through. The singular question is mild curiosity only; he doesn't have to say. Her nod is accepting enough of this announcement. "Business or pleasure?" Because she won't be receptive to hearing later that he needs his day off revoked, says the small, knowing smile she gives him. The question is very simple, and yet it seems to give Jethaniel trouble. He hesitates before answering it, regarding the paper in his hands. On the outside is written his name (no title of any sort) and 'Xanadu Weyr'. On the inside - for he flips it open, taking a look as if that will permit him to explain things - there's a single line of text and a signature. Not much to read, and yet it presents Jethaniel difficulty in answering. "Business," he finally says, "…but not that of Xanadu." His gaze lifts again to that of Xanadu's Weyrwoman. "If, however, you could give me a ride to Landing on your way… I would appreciate it." Not that he couldn't easily arrange for a ride from whoever of Comet is on-duty today, as he's done a number of times before when the situation called for it. "Landing," Thea echoes blankly with a nod for his elaboration and then she tacks on a, "Certainly," for his request for a ride. The wheels of her mind are turning. Landing… Landing… is the computer… hub? Techcraft Hall? She really should be more aware of this and probably will be after too long. But meanwhile she blinks at Jethaniel, concerned. "I hope everything is alright with your carftmasters." Perhaps she's guessing wrong, but, "Do you need me to put in a word for you with them?" Because she will. And though not in a hurry herself, adds, "Let me know whenever you are ready." "Thank you, Thea," Jethaniel says to that ride, with a nod that is briefly satisfied. One thing resolved, even if it is a relatively minor one. He knows how he's going to get there. His gaze falls toward the paper once more, then rises at the mention of his craft. "As do I," he says quietly, and thereby confirms her suspicion of his destination. That single line says, 'Report to the Hall.' The signature below it is that of the Technology Craftmaster. Technicians do not tend to be much for unnecessary words. Now that Jethaniel's focus is on this message, he has a troubled frown, but when Thea makes her offer, he shakes his head. "No. This is a craft matter, not a Weyr procedure. There is no reason for you to be involved." Not even, strictly speaking, as a ride. Indeed, it might be more politically adept to arrive on a lesser dragon than a gold, but Jethaniel is not a politician, and so he gives Thea a smile that doesn't reach his eyes as he says, "I am ready now." There was nothing urgent in his inbox. That hour since his arrival was spent in clearing his afternoon in preparation for his departure. Thea looks troubled, but for Jethaniel's sake, not the Weyr's. She sighs, acquiescing to his wishes. For all she knows, she'd just make things worse anyway. But she could stress to them how much a supposedly tech-laden Weyr can benefit from a Tech-craft Steward. "Well, if they want an endorsement…" she's willing, but she doesn't press him. The senior of Xanadu giving him a ride into Landing? It doesn't occur to her that would be viewed askance, but then she deals more with holders who view that as a mark of prestige. And so, she rises, grabs her jacket from the back of her chair and notes as she precedes him out the door, "I'll be in an hour later tomorrow." Just so he doesn't mark her calendar with an extra long lunch! The situation, as it currently stands, is rather lacking in information. It may be the lack is more worrisome than the information, were it present. However, it is not, and so speculation - while sometimes difficult to resist - is pointless. Soon, Jethaniel will know more. He nods slightly to Thea's resumed offer. "Should they wish it, I will inform them." This is technically true. If they actively request it of him, he will in fact pass that information along. If they do not, he is extremely unlikely to volunteer it. Jethaniel rises to his feet, folding the paper once more and setting it into his pocket - though not the one that contains Stardust. There is a certain seperation between those matters related to Weyr and Hall, even in this case when the Craft is one intimately tied to the Weyr's workings. Despite Jethaniel's worries as he follows Thea out the door, there's a ghost of a smile when she explains the workings of her calendar. "Very good," he says. It is, after all, important to maintain a work/life balance. And so, on out to the clearing they go, the Weyrwoman directing the few people who try to stop her with 'pressing' issues to go see the juniors or Ocelara. Seryth awaits in the clearing, harnessed and ready to go, shopping bags already lashed to her harness. The gold is half asleep, sprawled on her belly in the grass, which is perhaps telling of Thea's habit to delay her restday departures by several hours. The queen opens an eyelid, likely surprised to see her rider approaching before noon and Thea, scrambles up, offering Jethaniel a hand up - if he needs it - so he can swing up behind her. While she's checking his flight straps, she asks casually, "So what did you do for fun on your last restday, Jethaniel?" Just idle conversation - really! Nothing is on fire outside of designated fire zones such as the ovens and hearths. There are no uncontrolled explosions, nor any exodus of blood from within its normal confines. Therefore, none of the issues being presented can truly be considered urgent. Jethaniel's presence may be helpful in persuading those querents to go elsewhere; he is, after all, a frowning Steward. His presence with the Weyrwoman creates the implication that something, somewhere, may in fact be or about to be exploding. This is even, technically, true. When they arrive at Seryth, he accepts that offered hand, for while he's become reasonably familiar with being a passenger on dragons, the gold is rather larger than the more numerous greens and blues that tend to provide for his transport needs. They have, at least, meant he is aware of the proper use of the straps, though he moves his hands out of the way to let Thea check them over. He is definitely not an expert. "I read a book," he replies, despite the fact that reading things is a large portion of his usual workday. "A compilation of poetry. The expressivity possible in some of the more constrained forms is… rather fascinating." As Seryth gathers her feet underneath her and rises from belly to crouching, wings lifting in readiness, "A… book." Is that an undercurrent of held-back laughter in the timbre of Thea's voice? "I'm sure it was," she continues as Seryth launches. "Though try reading it to a pretty girl over dinner sometime," suggests Thea impishly with a smirky-smile he cannot see as she turns to watch those wingsails swish too closely to the bare-branched treetops for her comfort. Seryth is rising lazily into the late fall skies, the sunshine weak even for a clear morning. Winter is coming, as evidenced by the bite to the chill air. "Poetry is interesting as a shared exercise," she notes idly before warning him, "We're going *Between*" just as Seryth winks out. Emerging over Landing, the queen banks into a gentle descent, curving around the complex there. Well, they're certainly visible if anyone is watching, even before they drop to a landing in the courtyard. She'll allow him to unclip himself, unless he gets stuck, offering a brief, but sincere, "Good luck," to him in lieu of worrying aloud. No, that she'll do on the way to Ierne. Oh, yes, Jethaniel read a book. That particular book is currently back in his room, and there's some blank pieces of paper next to it. The ones that are no longer blank have all been crumpled and placed in the wastepaper basket. That, however, he does not say, and so - much like Thea's smile - it remains unknown. His reply aloud to the suggestion so made is, "Perhaps I shall." His tone is entirely serious; he can, after all, picture such a scenario. This time, it is his smile that remains hidden. "I suspect such an experience might be radically different than a more private reading." By which he means reading it by himself in silence, as opposed to where things like intonation, pauses for breath, and the reactions of his audience will make a difference in how the work is perceived. His hands tighten on the straps as she announces Between, but the slight stiffening is all the reaction he permits himself. As they circle, he looks down at Landing below and draws in a deep breath. His expression is a combination of wistfulness and concern; memories of the past and thoughts of the uncertain future that awaits him this afternoon - for Landing is ahead of Xanadu by some hours. By the time they've landed, his expression is mostly calm, merely the slight frown of worry about what comes next. He unfastens himself and slides from Seryth's back, looking up at Thea once again. "Thank you," he says, and though his smile as he says it is genuine, it is also brief. The worry returns once again as he turns and strides away to the Technology Crafthall. Thea's 'you're welcome' comes in the form of a flippant two-fingered salute and a smirky-grin. Likely because of that oh-so-serious 'perhaps I shall' back there of Jethaniel's. She bites back any further comments that would only make her sound like his mother. Instead she watches him concernedly for a beat as he heads into the hall, her small sigh causing Seryth's rumble. It's a good-humored recall to her own errand and she shakes her head, directing the queen to lift off. So they rise to the skies, winking out above Landing, Ierne-bound. There she will shop and sit in the plaza idly bored while the nightlife swirls around her.